Room 12 - The ‘Shoalstone Cove’ Room A stunning, contemporary deluxe, single room. 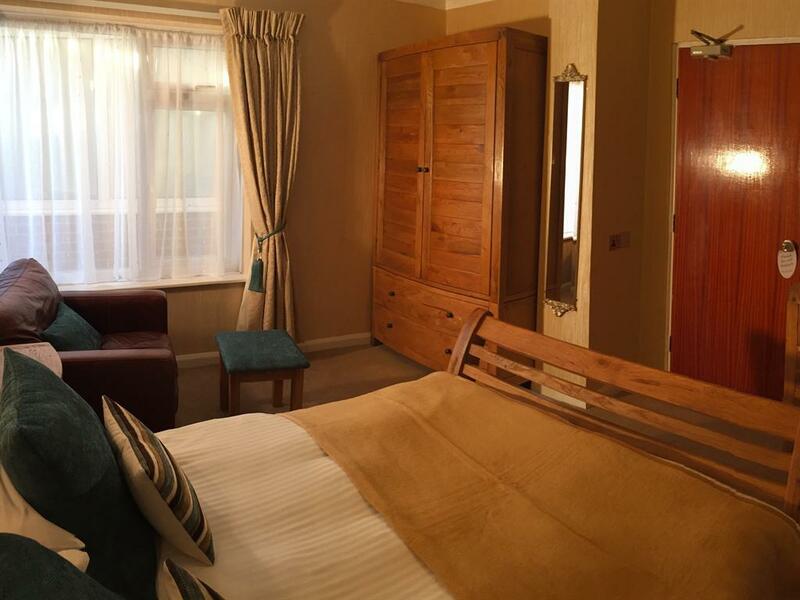 Completely refurbished in 2018, and individually styled to a very high standard. 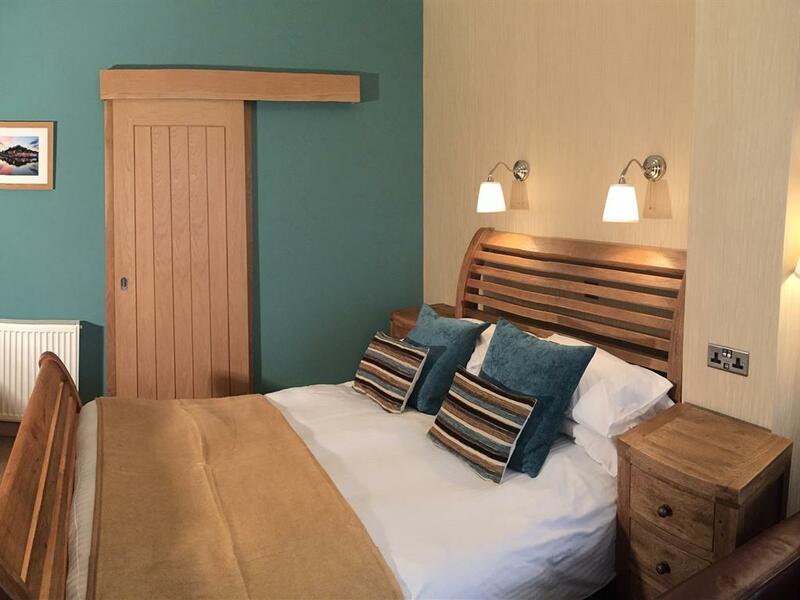 This highly popular light and bright room comes equipped with lovely oak and mirrored furniture, sumptuous memory foam mattress, luxurious hypo-allergenic goose down fluffy duvet and pillows and USB charging points. There is a cosy seating area to relax in, with a lovely warm drink after a long day exploring, or to watch the modern LED TV. 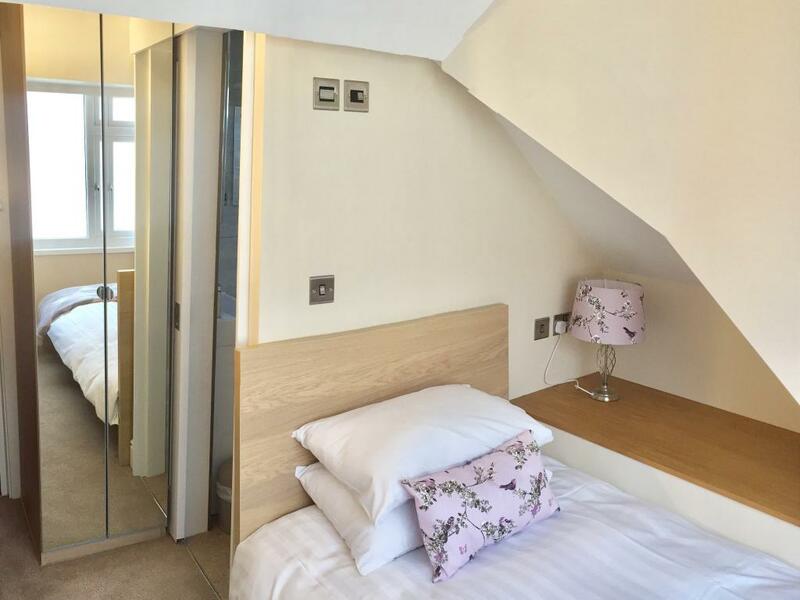 It is the smaller of our two deluxe single rooms and it is on the second floor which means that it has a sloped ceiling in one corner which may not be ideal for taller guests. The gorgeous en-suite shower room has an amazing walk-in drench shower with lashings of hot water, free luxury toiletries and lovely fluffy towels, heated towel rail and shaver point. 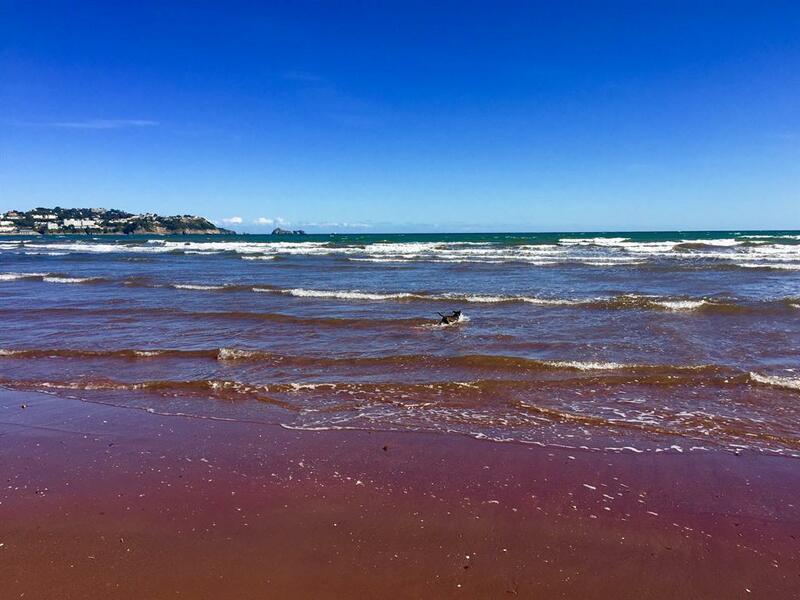 In addition to our award winning location, we place our emphasis on cleanliness, comfort, style and personal service, but also on the other special little touches such as bottles of drinking water, chilled fresh milk, USB charging point and free Wi-Fi. This room is chosen by those guests who enjoy a little luxury while they visit Torbay, and although this room only has a side sea-view we are only 10 meters from the beach and guests are still welcome to join us in the relaxing, comfortable conservatory and bar with or without a glass of something cold from our licenced bar. Room 2 - The ‘Brixham Harbour Room’. 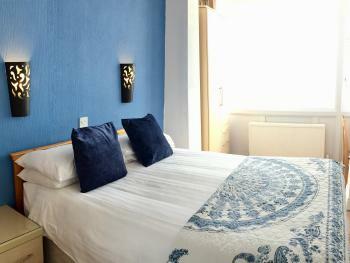 A beautiful, contemporary, dual-aspect Deluxe Room, with a really comfy king-size bed. It’s one of the largest rooms in the hotel, completely refurbished in 2017 to a very high standard, and situated on the first floor. 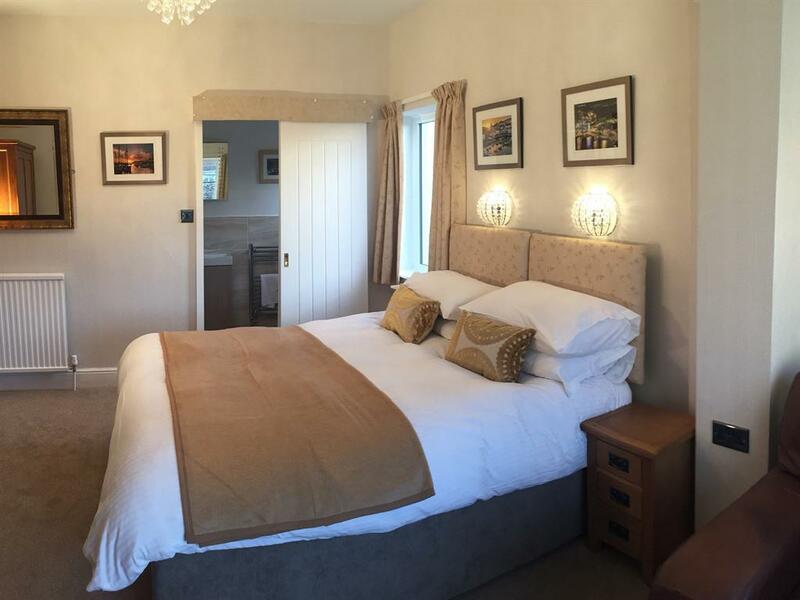 This very popular room comes equipped with lovely warm solid oak furniture, sumptuous memory foam mattress, luxurious hypo-allergenic goose down fluffy duvet and pillows, and crystal chandelier. There is a cosy seating area to relax in, with a lovely warm drink after a long day exploring, or to watch the large LED TV which although tucked away in the corner of the room is also visible from the bed. 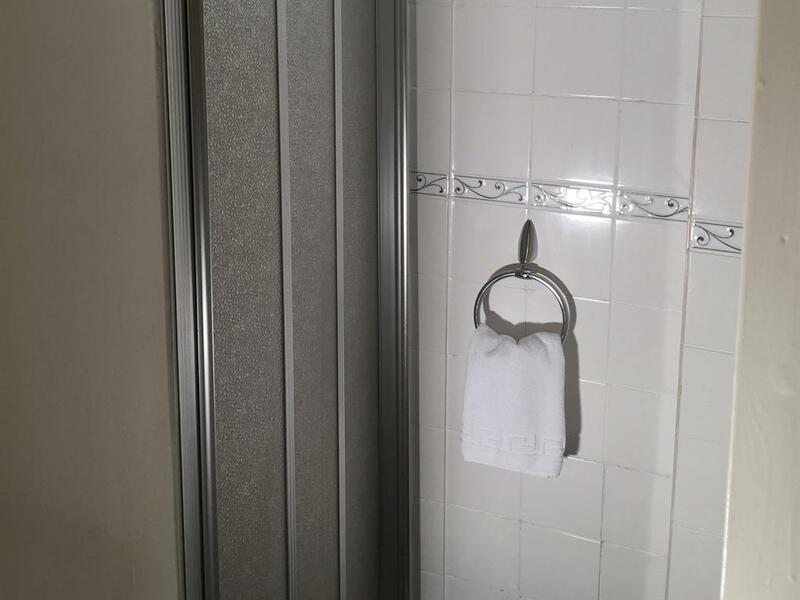 The small en-suite shower room has an amazing power shower, free luxury toiletries and lovely fluffy towels, heated towel rail and LED mirror with shaver point. In addition to our award winning location, we place our emphasis on cleanliness , comfort, style and personal service, but also on the other special little touches such as bottles of drinking water, chilled fresh milk and free Wi-Fi. This room is often booked by our steam train enthusiasts who like to watch the occasional steam train go past on its way into Paignton Station. This room is chosen by those guests who prioritise a larger room over sea-view, although there are sea-glimpses out of the side window. 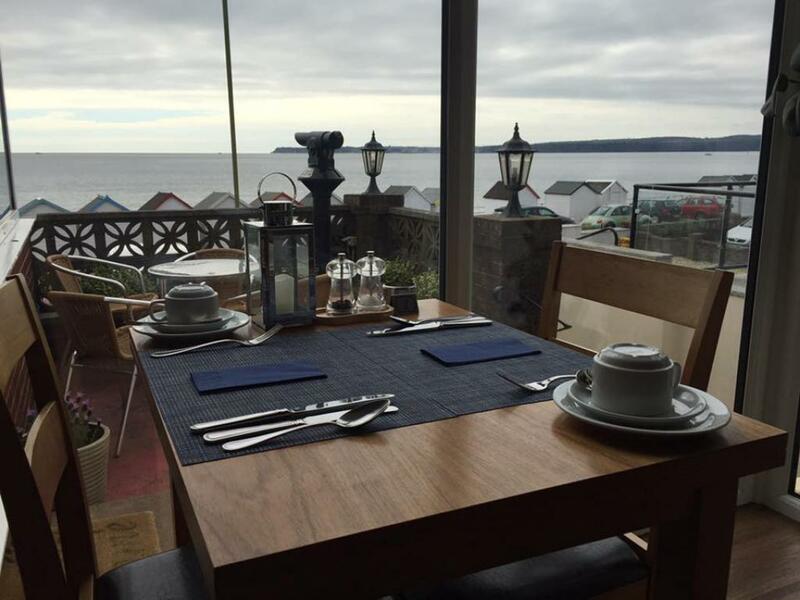 Guests are welcome, of course, to use the new conservatory and enjoy the stunning panoramic view of Torbay, only 10 meters from the beach, with or without a glass of something cold from our licenced bar! 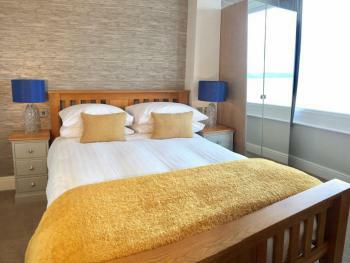 Room 3 - The ‘Paignton Beach Room’ This stunning, contemporary Superior Room has the best sea-view in the hotel (and probably Torbay)! 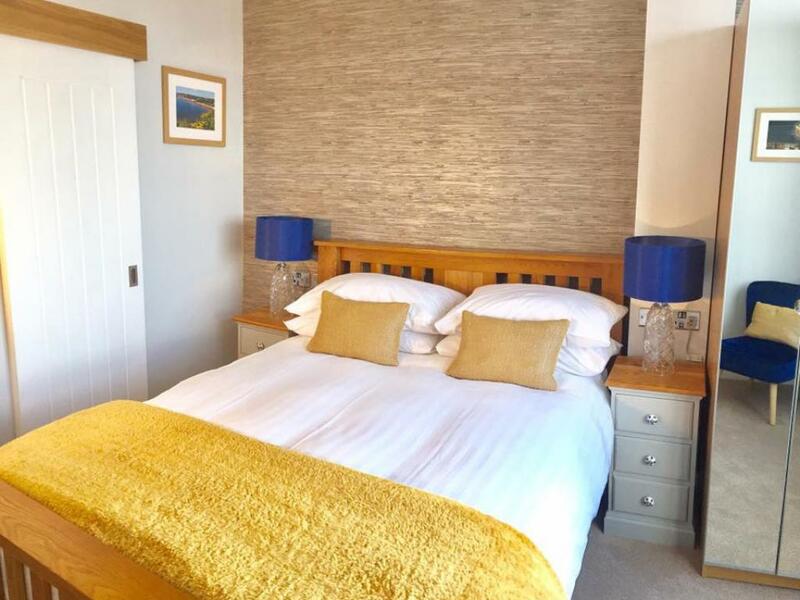 Completely refurbished in 2017 to a very high standard, this really popular room comes equipped with lovely warm oak furniture, sumptuous double memory foam mattress, and luxurious hypo-allergenic goose down fluffy duvet and pillows. There is a cosy seating area to relax in while you watch the sun go down, or to watch the large Smart LED TV which comes equipped with internet connection for your convenience, or a favourite film on Netflix from the comfort of your cosy bed. 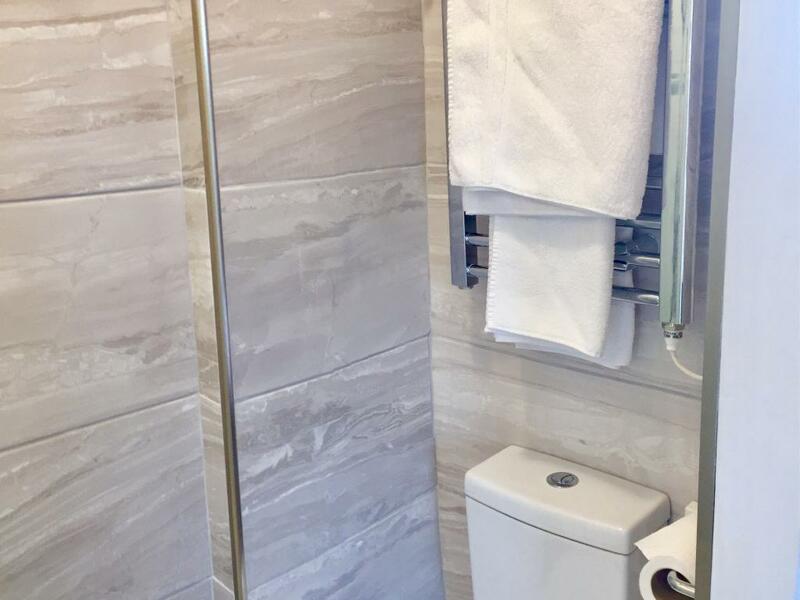 The large en-suite shower room has an amazing, huge, walk-in power shower; free luxury toiletries and lovely fluffy towels, heated LED mirror and towel rail. In addition to our award-winning location, we place our emphasis on cleanliness, comfort, style and personal service, but also on the other special little touches such as bottles of drinking water, chilled fresh milk, free Wi-Fi, and USB charging points. Plus, as with all our Superior Rooms, you also have your very own Nespresso coffee machine! This room is chosen by those guests who want a little bit of luxury and the best sea-view in the house from their room, although guests are still welcome, to use our gorgeous new conservatory and enjoy the stunning panoramic view of Torbay, only 10 meters from the beach, with or without a glass of something cold from our licenced bar! Room 4 A Standard Double room on the first floor, with an exceptional sea-view. 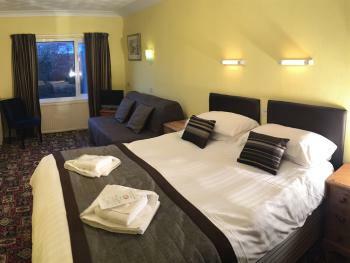 Whilst this is the smallest of our double rooms, it’s really popular with our returning guests because it offers excellent value for money. 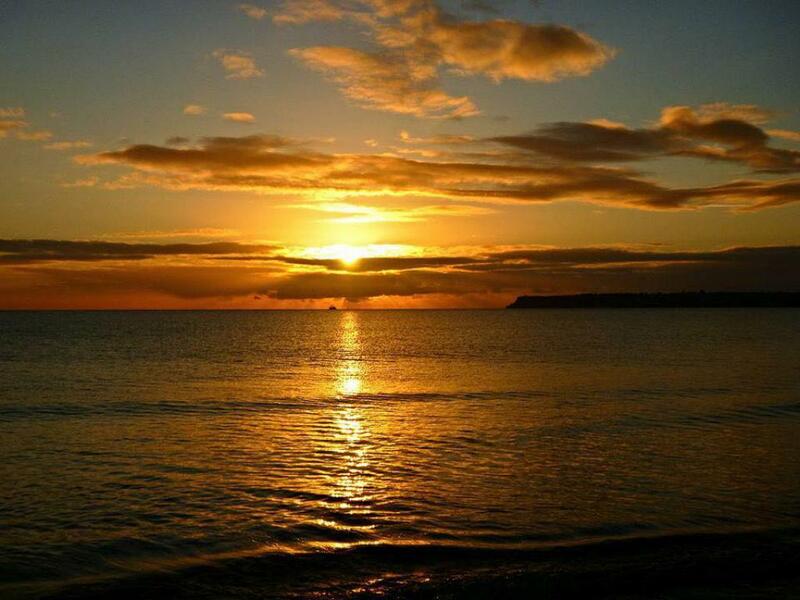 It still has the most amazing sea-view without the higher price tag which comes with the some of the Deluxe Rooms. 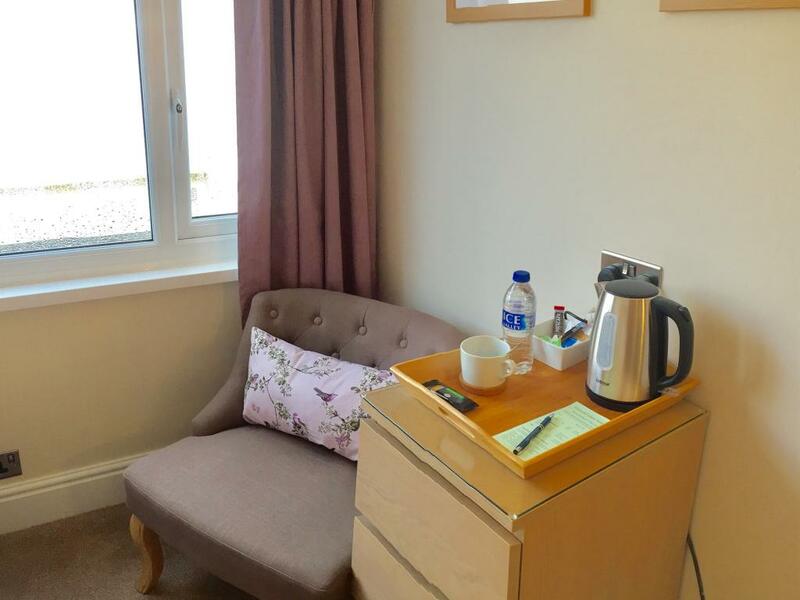 There is a small desk and seating area, flat screen digital TV, free Wi-Fi, plenty of storage for clothing etc and a lovely hot drinks tray with chilled fresh milk. 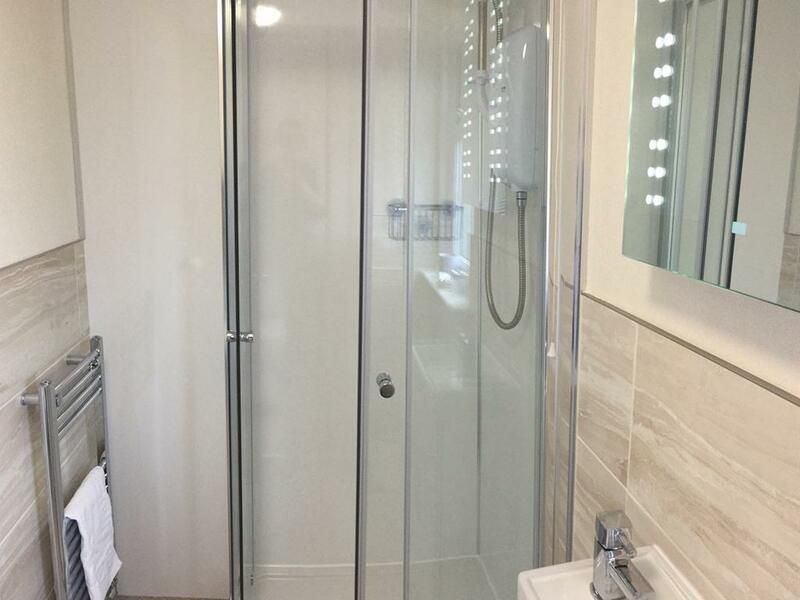 The en-suite shower room may be older styled, but it’s perfectly formed with lashings of hot water in the powerful shower, and free toiletries. 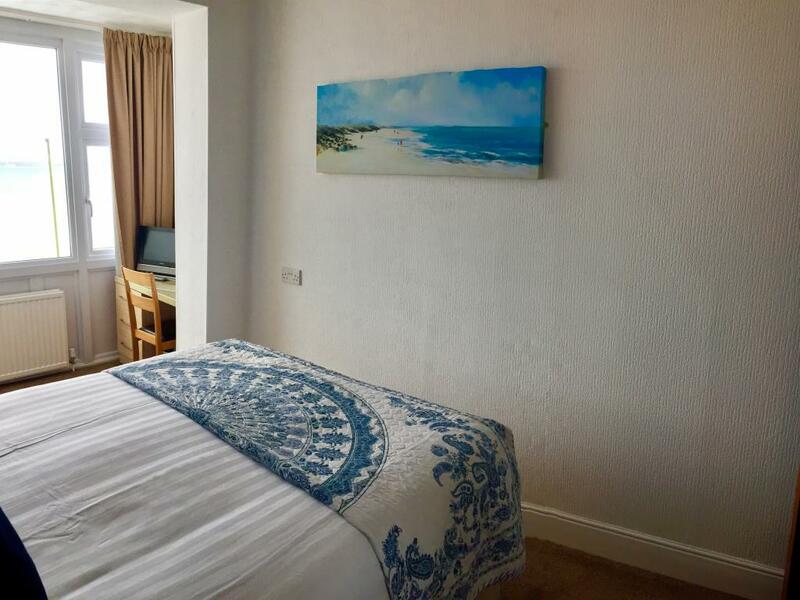 All of this, together with a sumptuous double memory foam bed, and great quality hypoallergenic bedding and lovely fluffy towels make this a lovely cosy little room to spend a holiday, and who wouldn’t want to wake up to that view in the morning? Room 5 - The ‘Goodrington Sands Room’. 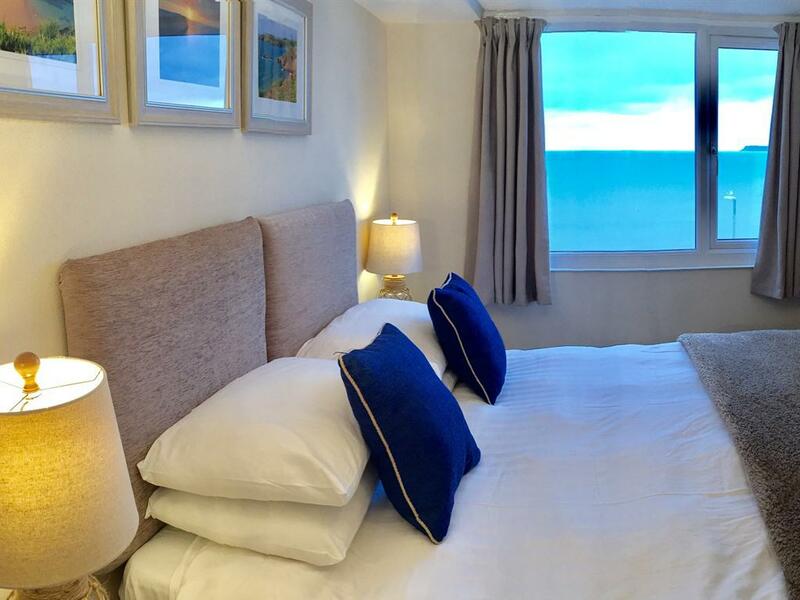 A stunning, contemporary, sea-view, deluxe double room. 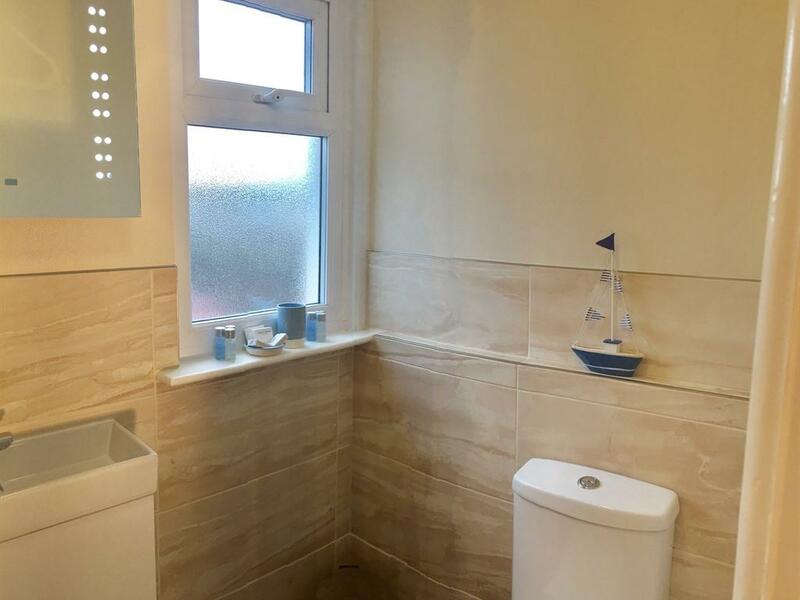 Completely refurbished in 2018 to a very high standard, and situated on the first floor. 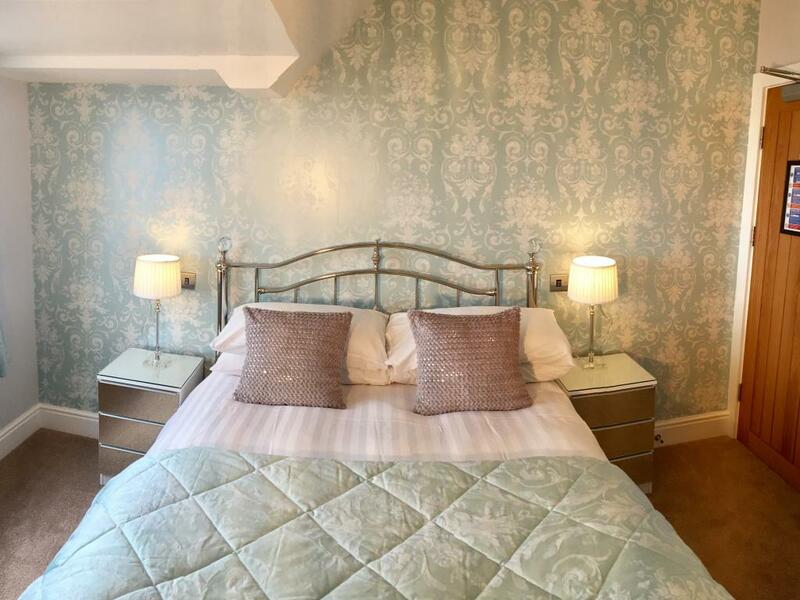 This highly popular room comes equipped with lovely warm solid oak furniture, sumptuous memory foam mattress, luxurious hypo-allergenic goose down fluffy duvet and pillows, and crystal chandelier and lamps, and USB charging points. There is a cosy seating area to relax in, with a lovely warm drink after a long day exploring, or to watch the large LED TV. 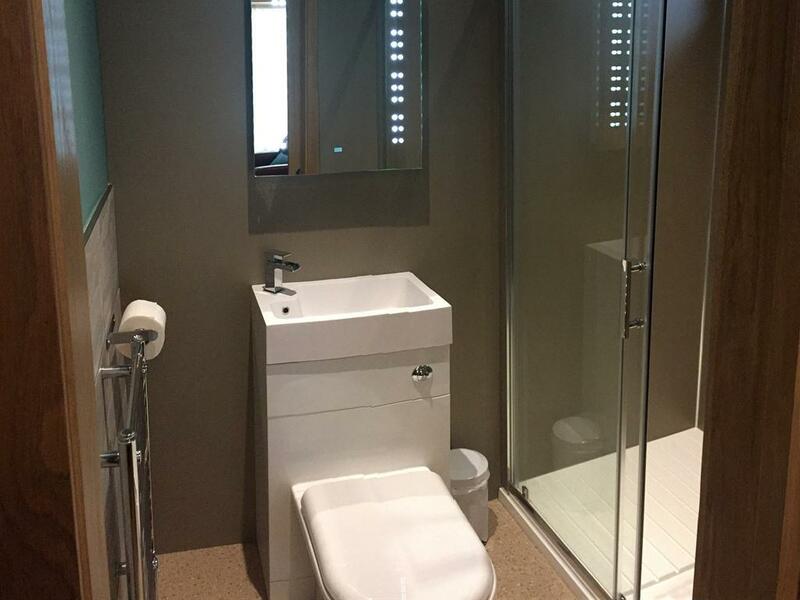 The modern, small en-suite shower room has an amazing powerful ‘drench’ shower, free luxury toiletries and lovely fluffy towels, heated towel rail and LED mirror with shaver point. In addition to our award winning location, we place our emphasis on cleanliness, comfort, style and personal service, but also on the other special little touches such as bottles of drinking water, chilled fresh milk and free Wi-Fi. 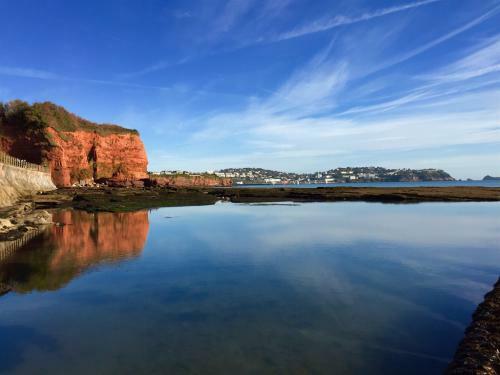 This room is chosen by those guests who enjoy a little luxury while they enjoy the unrivalled panoramic view of Torbay, as we are only 10 metres from the beach. However guests are still welcome to join us in the relaxing, comfortable conservatory and bar with or without a glass of something cold from our licenced bar. Room 8 A standard king-size or twin room on the first floor, with the added benefit of a really decent double sofa-bed with a memory foam mattress, so it can take up to 4 of you want to share. However please note we do not accept under 18’s. When not in use as a sofa-bed, the sofa comes in really handy as a comfortable seating area, flat screen digital TV, free Wi-Fi, plenty of storage for clothing etc and a lovely hot drinks tray with chilled fresh milk. 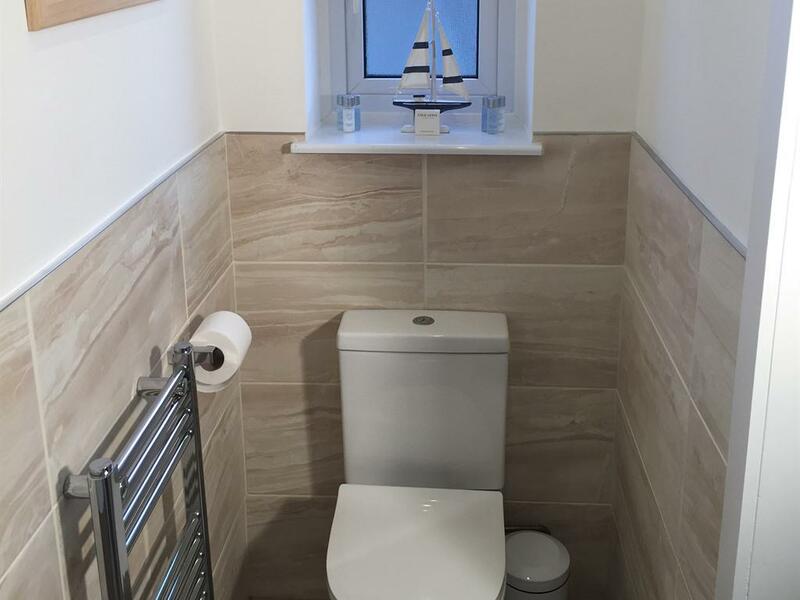 The small en-suite shower room, may be older styled, but it’s perfectly formed with lashings of hot water, and free toiletries. 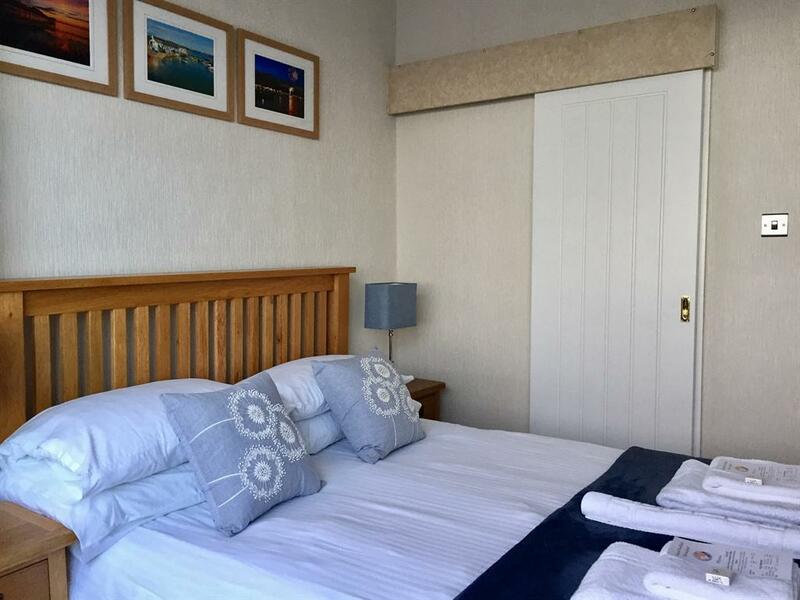 All of this, and great quality hypoallergenic bedding and lovely fluffy towels make this a homely room to spend a relaxing holiday. This room is often booked by our steam train enthusiasts who like to watch the occasional steam train go past on its way into Paignton Station, but it’s also a really popular room with our returning guests because it offers excellent value for money as you can still enjoy the stunning sea-view in our lovely conservatory, while having a nice large room too. Room 9 - The ‘Churston Cove’ Room A stunning, contemporary, deluxe, single room, with a side sea-view over Paignton beach and pier. 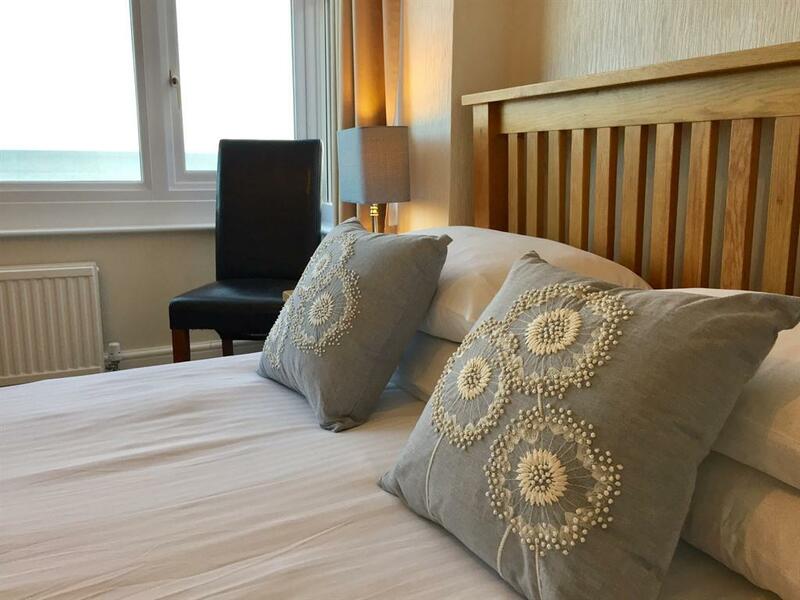 Completely refurbished in 2018, and individually styled to a very high standard. 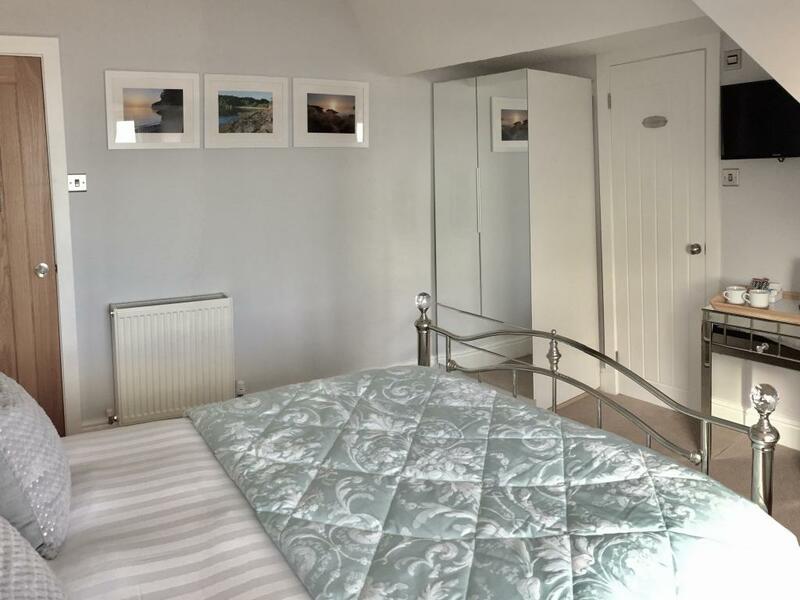 This highly popular light and bright room comes equipped with lovely oak and mirrored furniture, sumptuous 3’ memory foam mattress, luxurious hypo-allergenic goose down fluffy duvet and pillows and USB charging points. 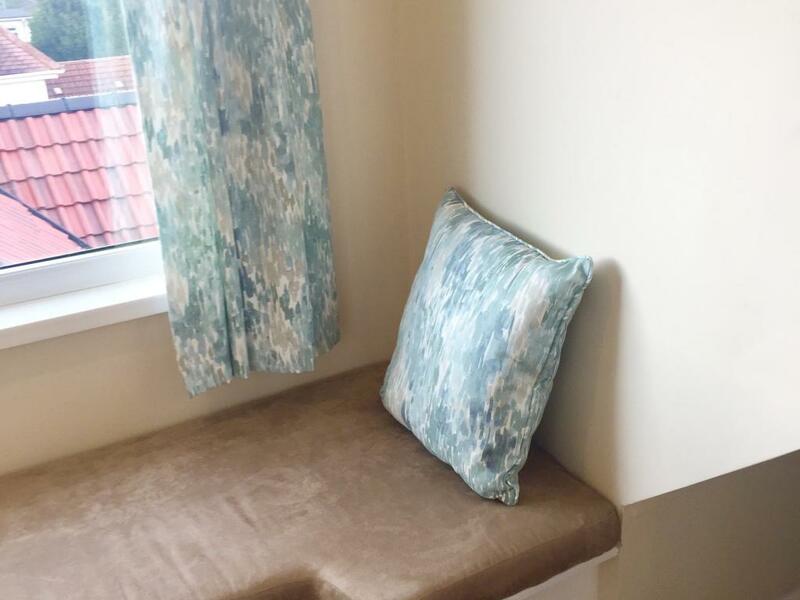 There is a cosy window seat to relax on, to read your book with a lovely warm drink after a long day exploring, to bask in the sunshine, or to watch the modern Smart LED TV with internet access. It is the larger of our two deluxe single rooms and it is on the second floor which means that it has a sloped ceiling in one corner. 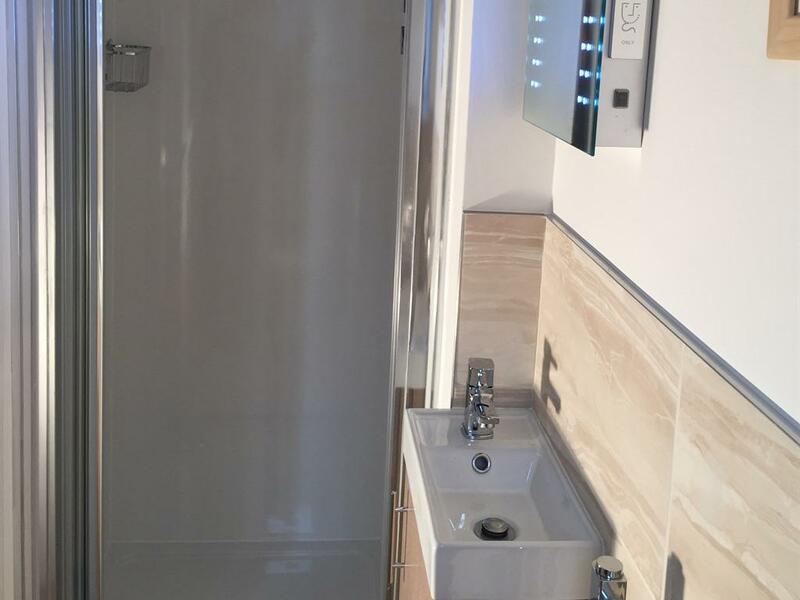 The modern en-suite shower room has an amazing drench shower with lashings of hot water, free luxury toiletries and lovely fluffy towels, heated towel rail and a LED mirror with shaver point over the sink unit. In addition to our award winning location, we place our emphasis on cleanliness, comfort, style and personal service, but also on the other special little touches such as bottles of drinking water, chilled fresh milk, free Wi-Fi and USB charging points. 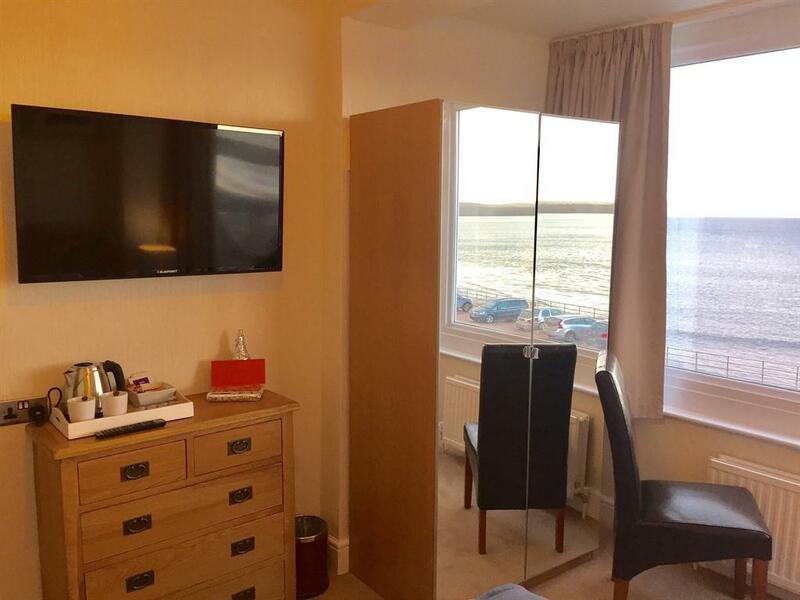 This room is chosen by those guests who enjoy a little luxury while they visit Torbay, and want that ever elusive sea-view. Although it’s also popular with the stam train enthusiasts who can get a clear view of the steam trains as they slow down to enter Paignton Station. 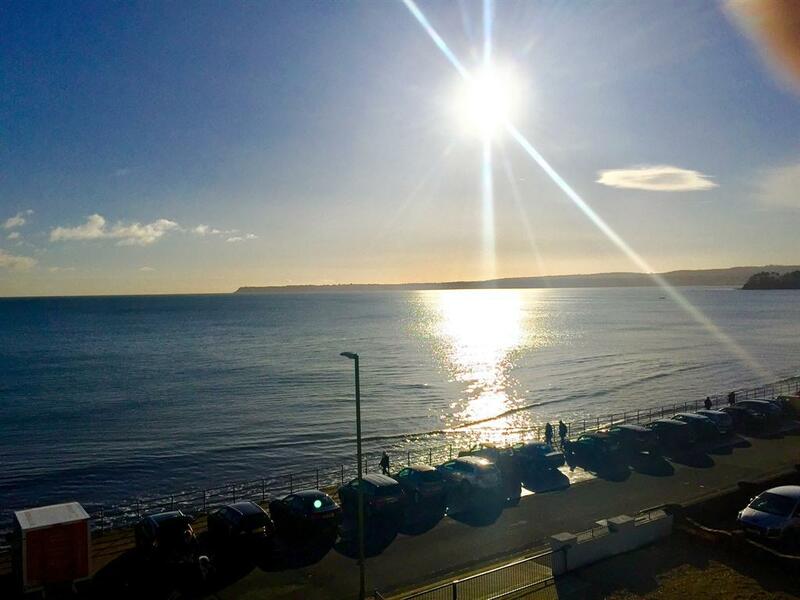 We are only 10 metres from the beach and guests are welcome to join us in the relaxing, comfortable conservatory and bar with or without a glass of something cold from our licenced bar to enjoy the full view in all its glory. 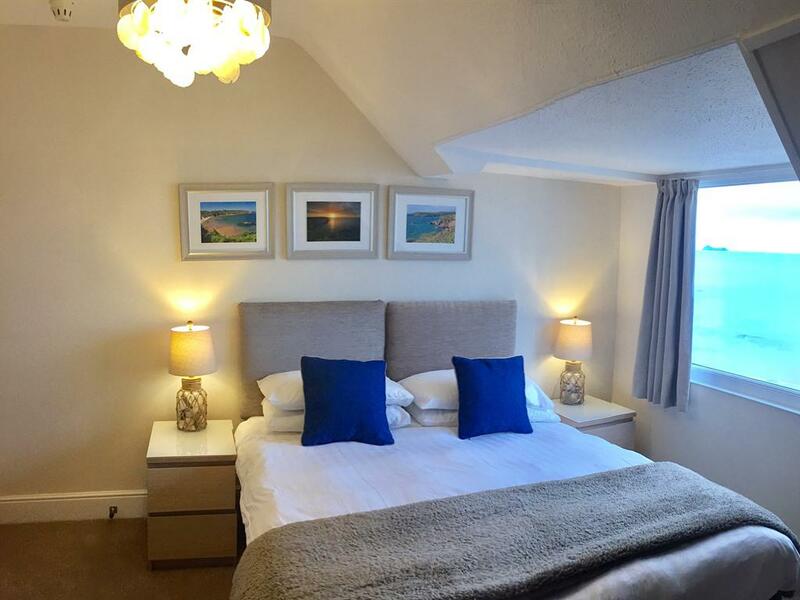 Room 10 - The ‘Berry Head’ Room A stunning, contemporary, sea-view deluxe, king-size or twin room with views right across the bay from Thatchers Rock to Berry Head. Completely refurbished in 2017 and individually styled to a very high standard. 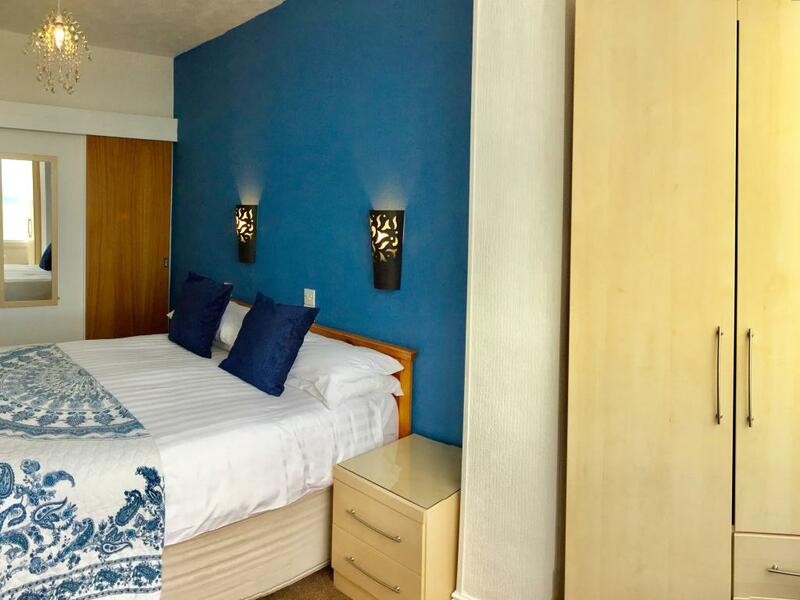 This highly popular, light and bright room comes equipped with lovely modern whitewashed furniture, sumptuous memory foam mattress, luxurious hypo-allergenic goose down fluffy duvet and pillows and USB charging points. 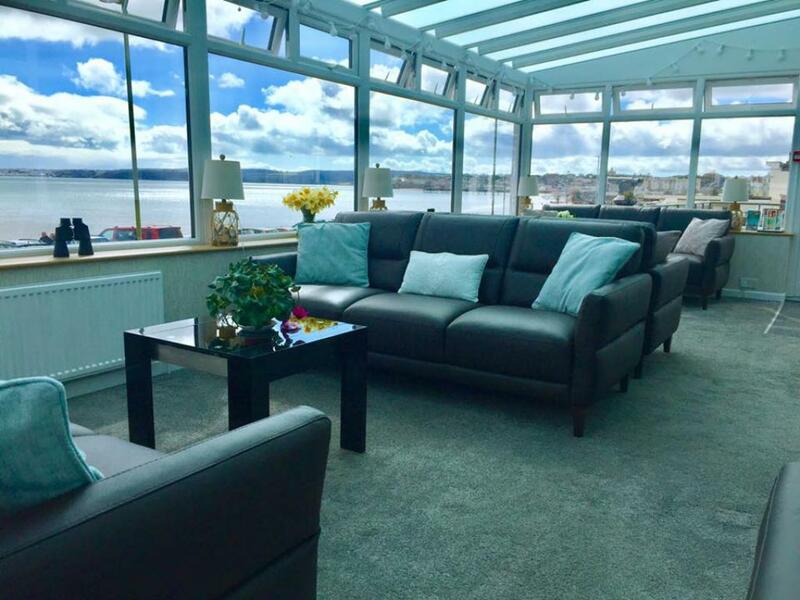 There is a cosy seating area to relax in to watch the boats go by, or with a lovely warm drink after a long day exploring, or to watch the modern LED TV. 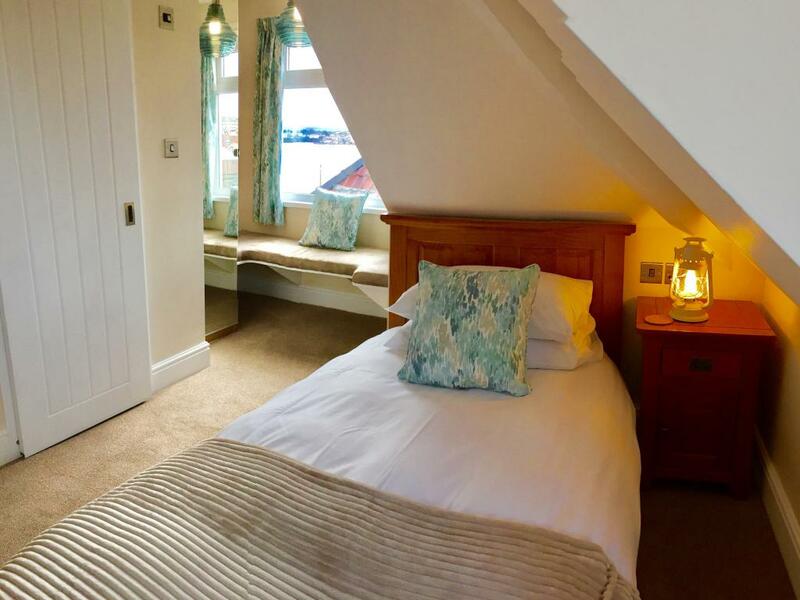 It is one of our smaller Deluxe rooms, as it is on the second floor and therefore has a sloped ceiling in one corner which may not be ideal for taller guests. 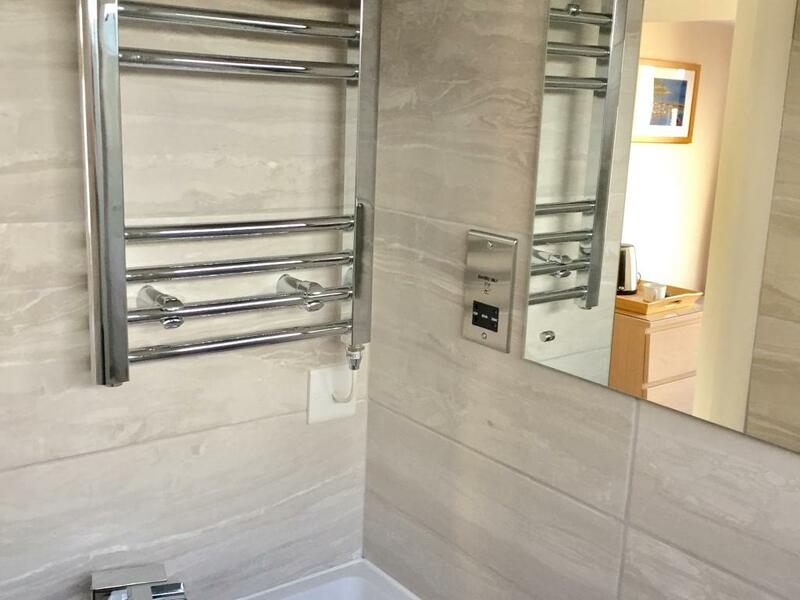 The gorgeous en-suite shower room has an amazing shower with lashings of hot water, free luxury toiletries and lovely fluffy towels, heated towel rail and LED mirror with shaver point. In addition to our award winning location, we place our emphasis on cleanliness, comfort, style and personal service, but also on the other special little touches such as bottles of drinking water, chilled fresh milk and free Wi-Fi. This room is chosen by those guests who enjoy a little luxury while they enjoy the unrivaled panoramic view of Torbay, as we are only 10 meters from the beach. However guests are still welcome to join us in the relaxing, comfortable conservatory and bar with or without a glass of something cold from our licenced bar. 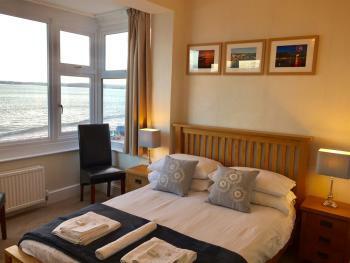 Room 11 - The ‘Elberry Cove’ Room A stunning, contemporary, sea-view deluxe, double room. 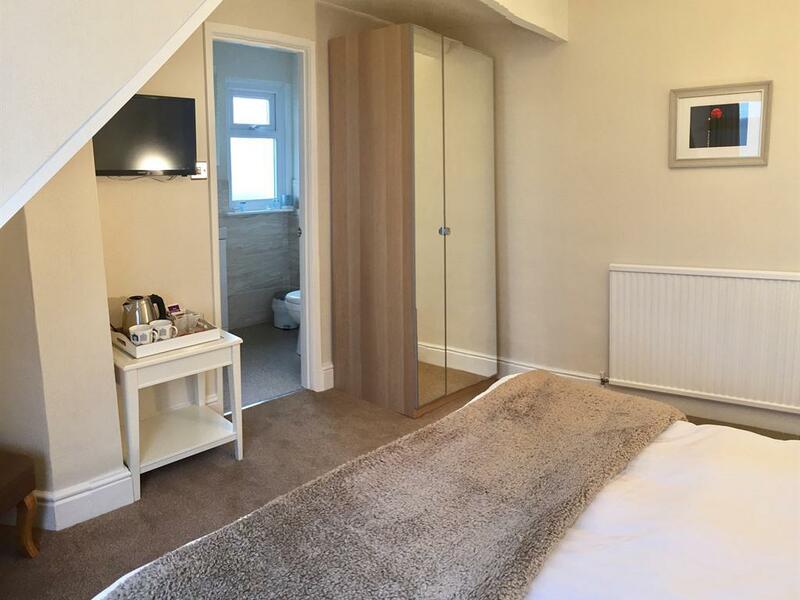 Completely refurbished in 2018, and individually styled to a very high standard. It’s often referred to by visitors as our ‘romantic’ room due to the room styling. 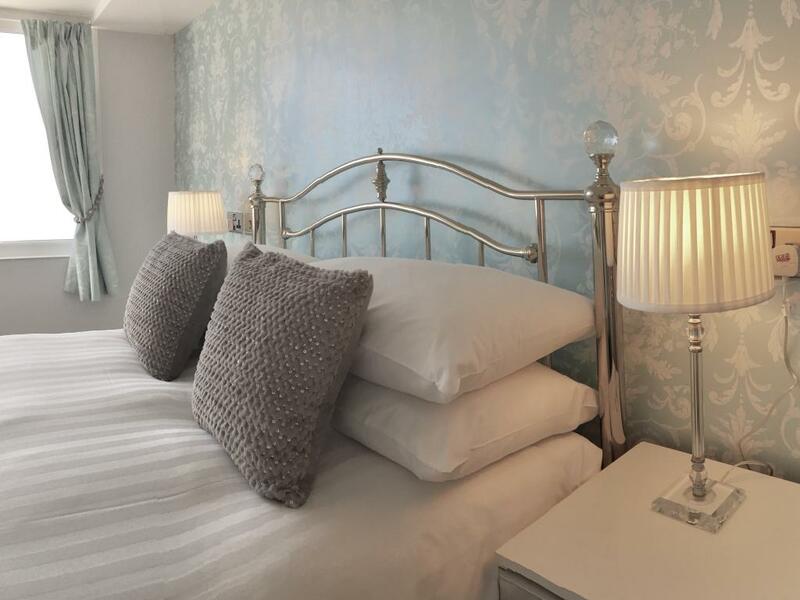 This highly popular light and bright room comes equipped with lovely modern white and mirrored furniture, sumptuous memory foam mattress, a stunning bed with crystal finials, luxurious hypo-allergenic goose down fluffy duvet and pillows, and USB charging points. There is a cosy seating area to relax in, with a lovely warm drink after a long day exploring, or to watch the modern LED TV. It is one of our smaller deluxe rooms, as it is on the second floor and therefore has a sloped ceiling in one corner which may not be ideal for taller guests but it certainly adds to its unique quirkiness. 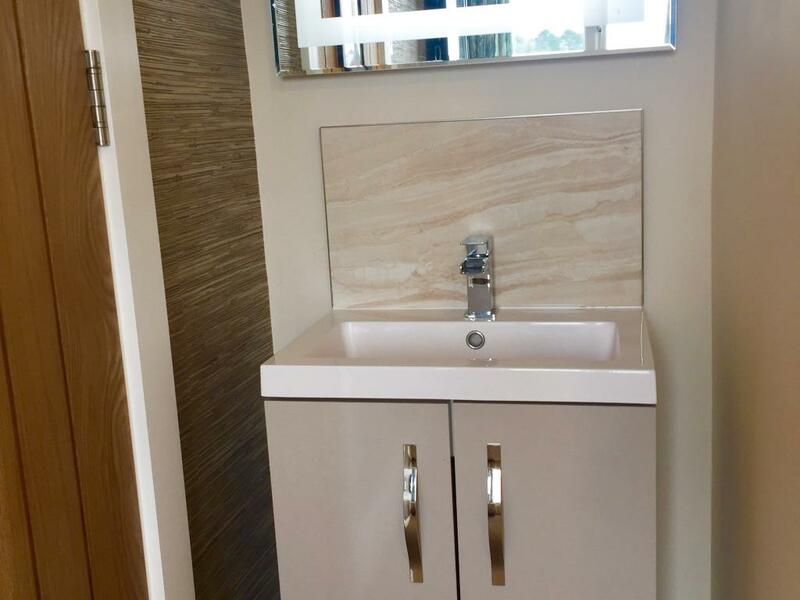 The gorgeous en-suite shower room has an amazing drench shower with lashings of hot water, free luxury toiletries and lovely fluffy towels, heated towel rail and LED mirror with shaver point. In addition to our award winning location, we place our emphasis on cleanliness, comfort, style and personal service, but also on the other special little touches such as bottles of drinking water, chilled fresh milk and free Wi-Fi. This room is chosen by those guests who enjoy a little luxury while they enjoy the unrivaled panoramic view of Torbay, as we are only 10 meters from the beach. 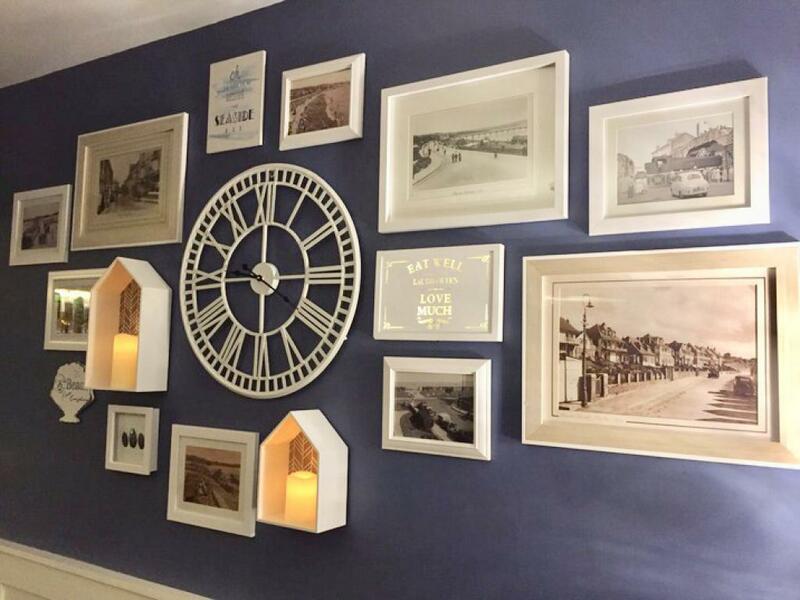 However guests are still welcome to join us in the relaxing, comfortable conservatory and bar with or without a glass of something cold from our licenced bar. Room 14 - The ‘Torquay Harbour Room’ One of our stunning, contemporary, Superior Rooms, with a really comfy double bed. 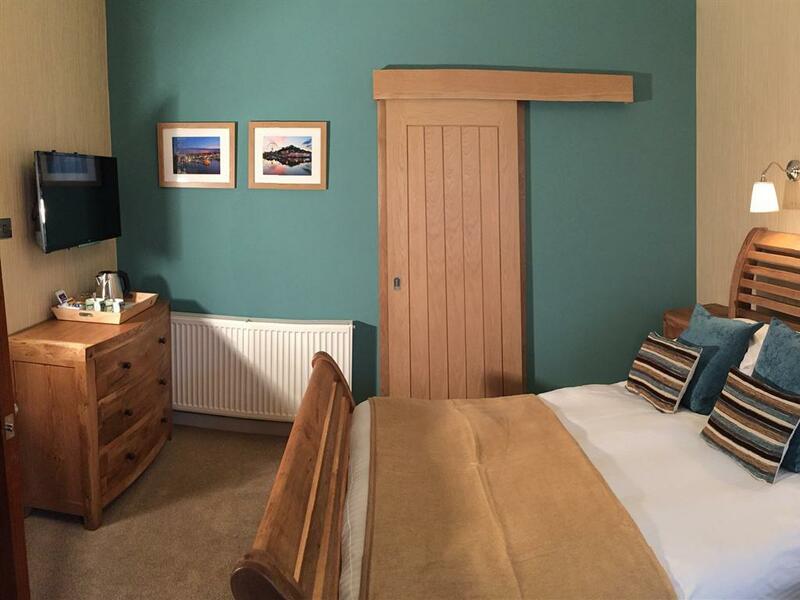 Completely refurbished in 2017 to a very high standard, this very popular room comes equipped with lovely curved French oak furniture, sumptuous memory foam mattress, and luxurious hypo-allergenic goose down fluffy duvet and pillows. 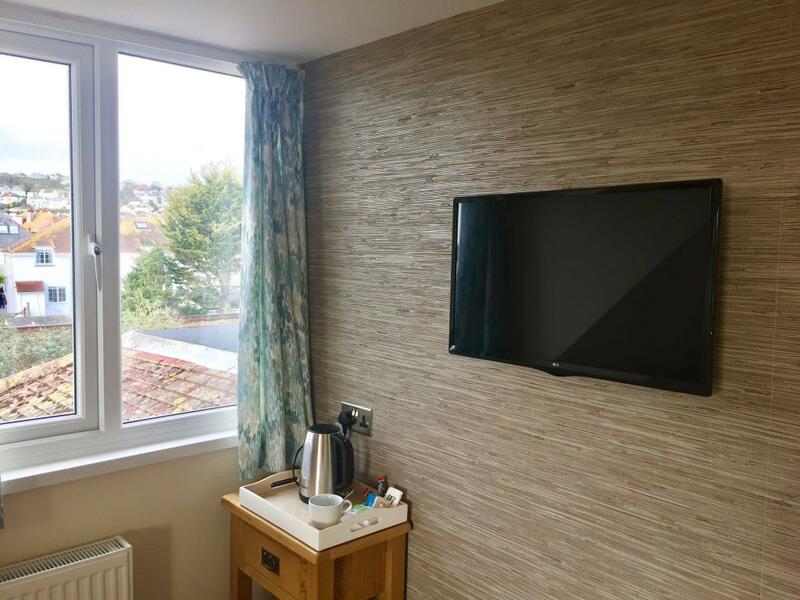 There is a cosy seating area to relax in, with a lovely warm drink after a long day exploring, or to watch the large Smart LED TV which comes equipped with internet connection for your convenience, or a favourite film on Netflix from the comfort of your cosy bed. 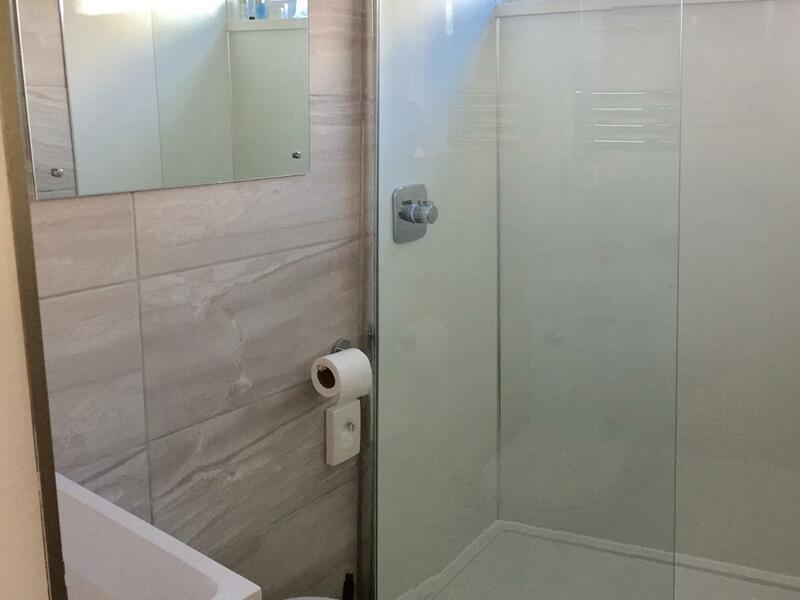 The large en-suite shower room has an amazing, huge, walk-in power shower; free luxury toiletries and lovely fluffy towels, heated LED cabinet and towel rail. 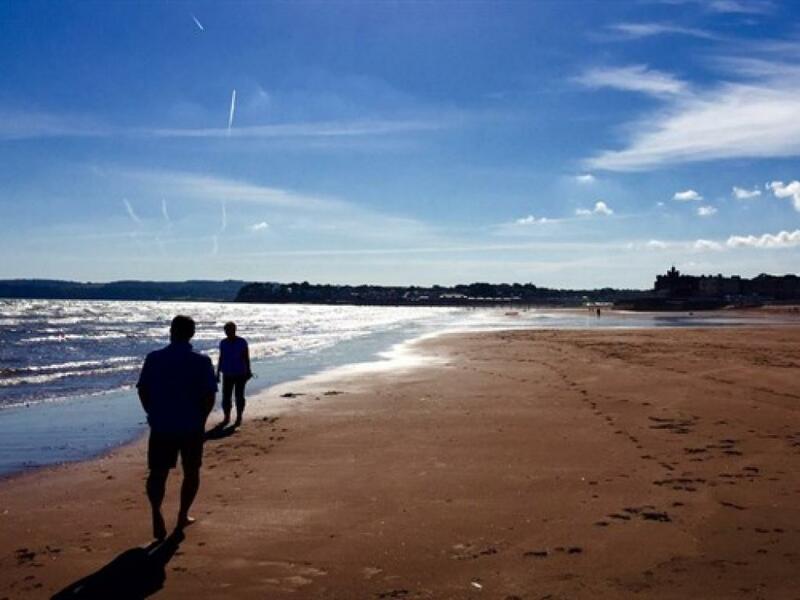 In addition to our award-winning location, we place our emphasis on cleanliness , comfort, style and personal service, but also on the other special little touches such as bottles of drinking water, chilled fresh milk, free Wi-Fi, and USB charging points. Plus, as with all our Superior Rooms, you also have your very own Nespresso coffee machine! The Torquay Harbour Room is our only ground-floor room and whilst not large-enough for those guests who need to use a wheel chair within the room, it is ideal for those with limited mobility who cannot use the stairs but still want a touch of luxury. This room is chosen by those guests who prioritise a ground-floor room over sea-view, although you would be more than welcome to use our gorgeous new conservatory and enjoy the stunning panoramic view of Torbay, only 10 metres from the beach, with or without a glass of something cold from our licenced bar! 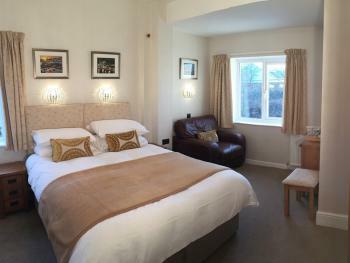 The Channel View Boutique Hotel is a small. 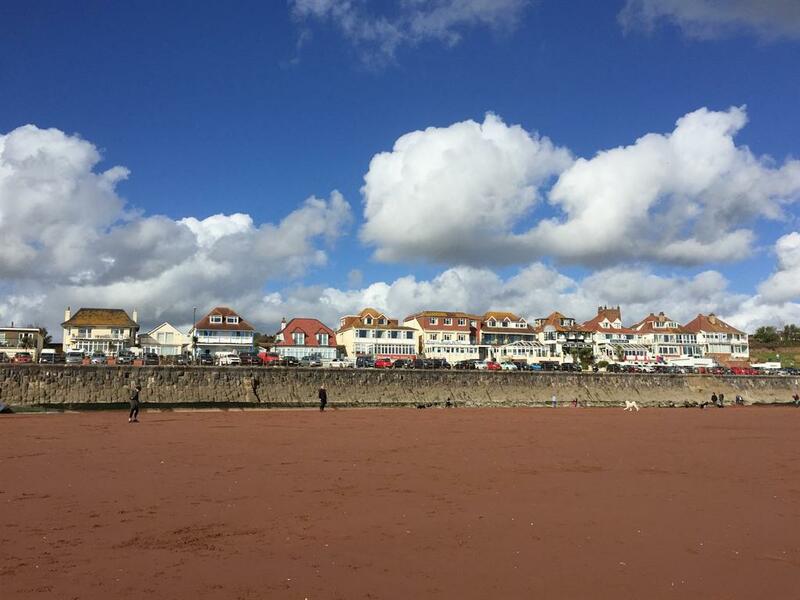 quiet, adult-only hotel, just 15 yards from a gorgeous, long, sandy beach, but away from the hustle and bustle of Paignton town and Torquay. 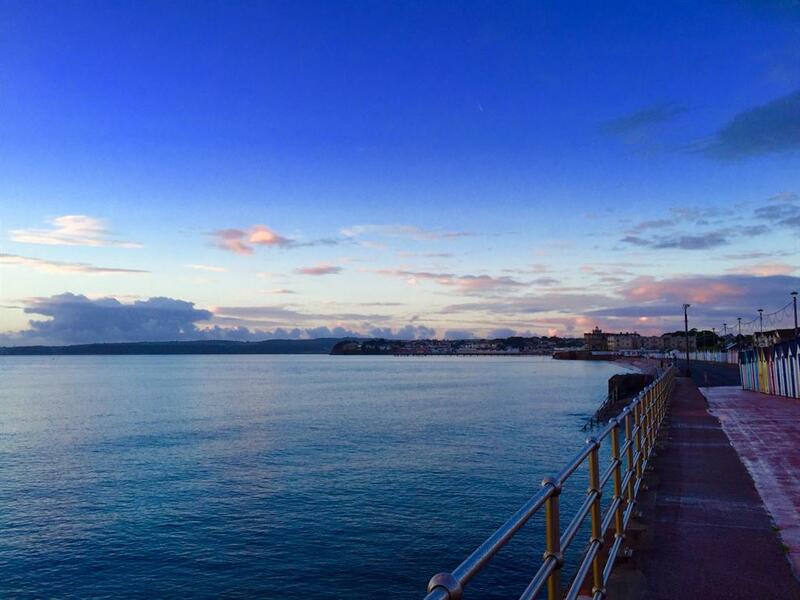 Perfect for a tranquil and relaxing holiday, a special celebration or cosy romantic break. 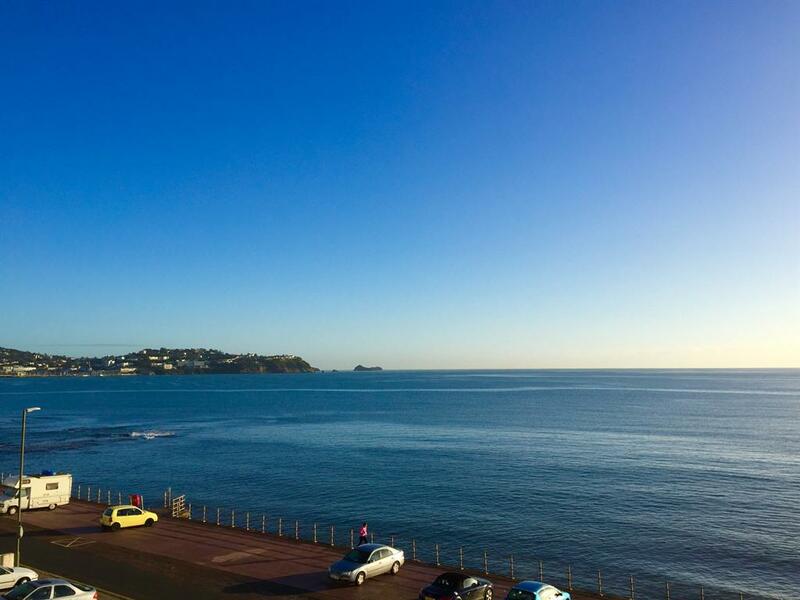 The stunning panoramic views from our sea-view rooms and relaxing conservatory stretch from Thatchers Rock in Torquay all the way around the bay to Berry Head in Brixham, with never ending changes in scenery. 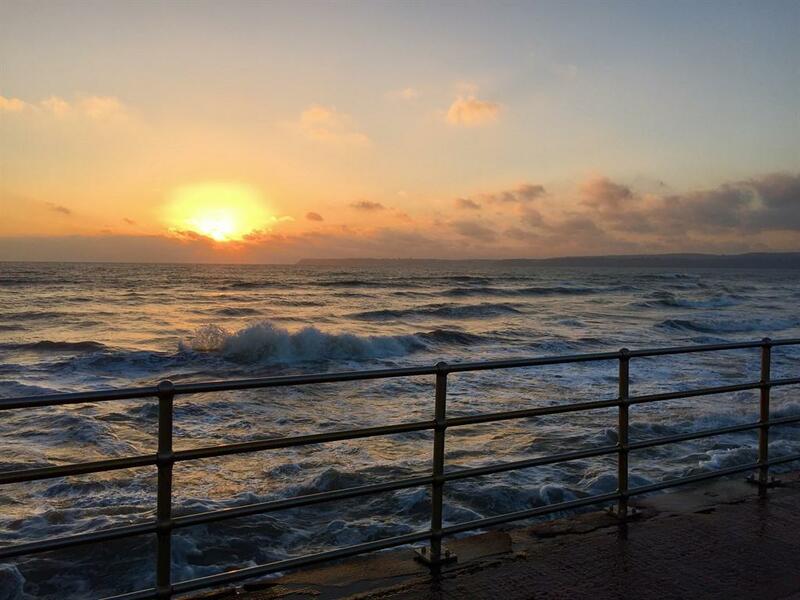 Sunsets are truly amazing, especially sitting on the terrace, with a nice cold glass of wine from our licenced bar. 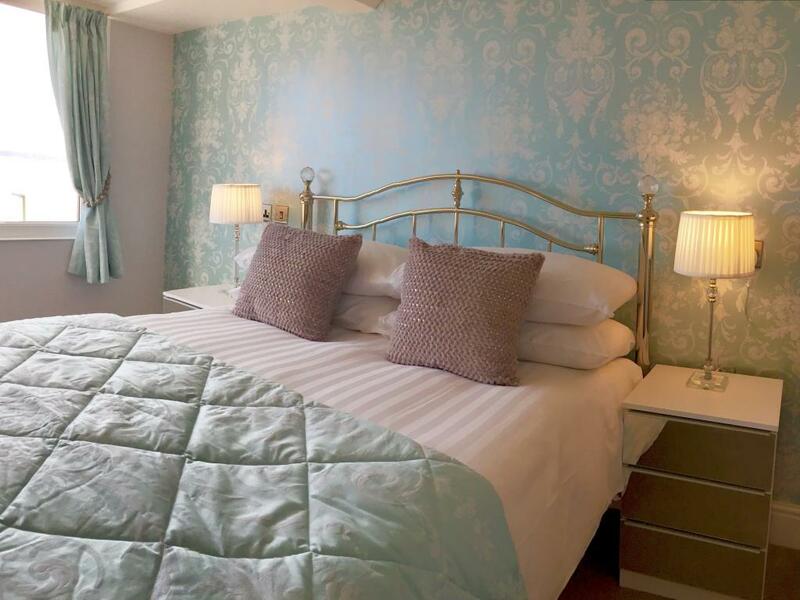 Spread over 3 floors, all our bedrooms are en-suite, and some have had full recent luxurious refurbishments, these are our Superior and Deluxe rooms. 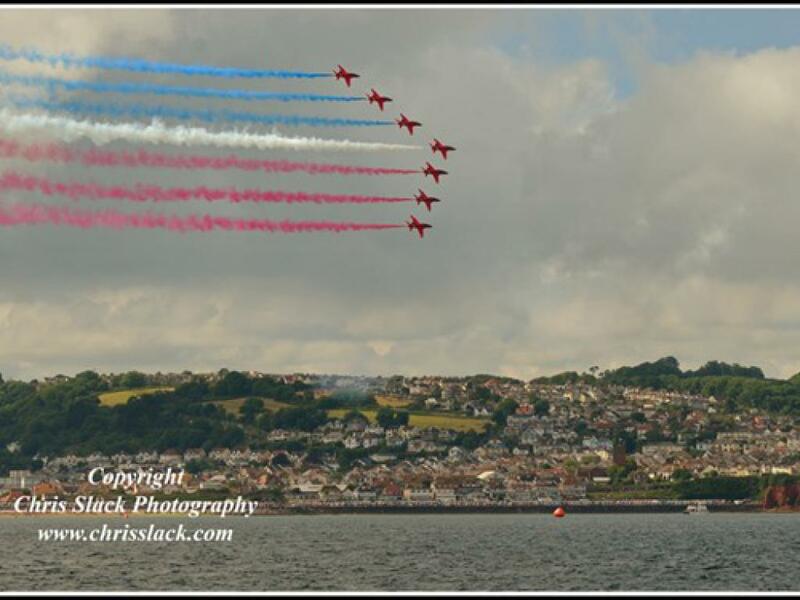 After enjoying your lovely breakfast, cooked fresh to order, you could take a short stroll along the seafront into Paignton town centre, or a slightly longer walk, over the hill and down into the busier Torquay Marina or catch the boat taxi over to Brixham for lunch. Buses run to most of Torbay every 10 minutes, and we are only 5 minutes away from Paignton train station where you can enjoy the delights of our famous steam railway. 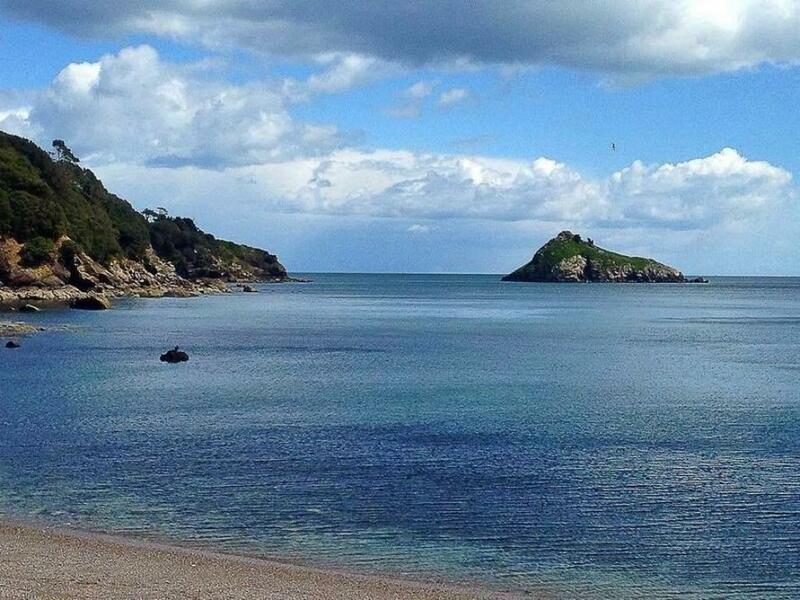 There are many wonderful attractions within a short travelling time, and we have a large, free car park too. 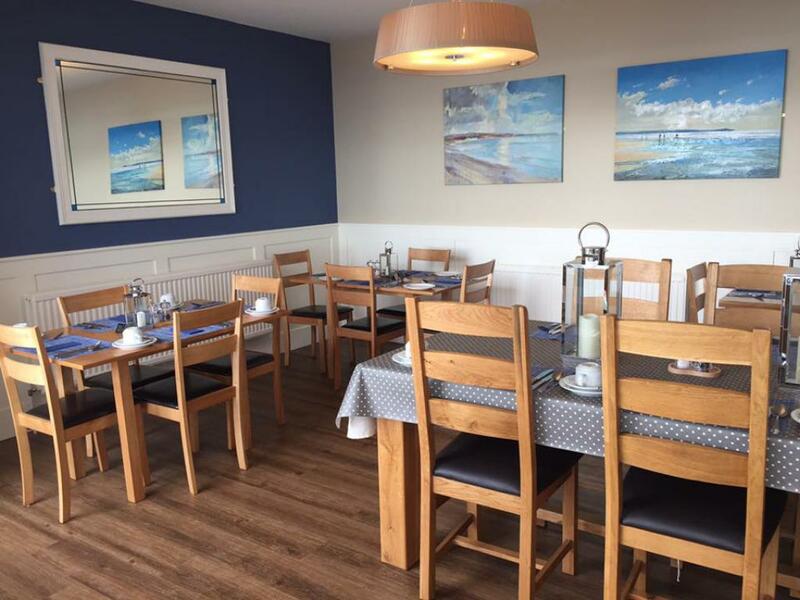 Return after your day out to enjoy an optional home-cooked meal in our restaurant and we do really pride ourselves on the variety and quality of our food. 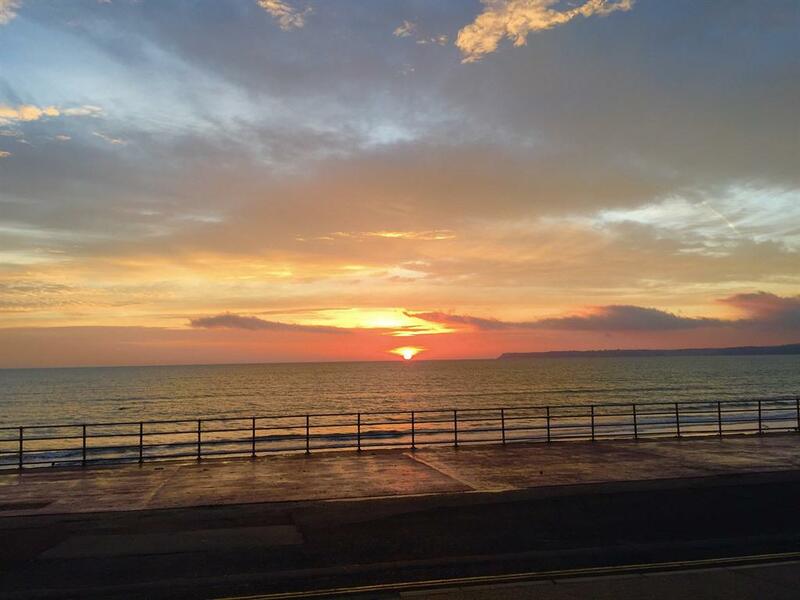 There is normally a group of people enjoying a chat in our licenced bar or conservatory each evening, or you may prefer an after dinner stroll out to enjoy the sunset. 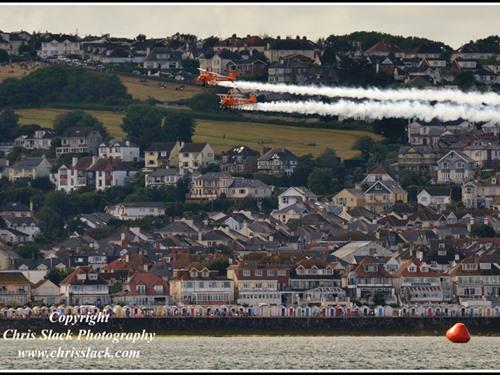 We are close to local theatres and cinemas, and there’s always something to do if you can tear yourself away from the view. 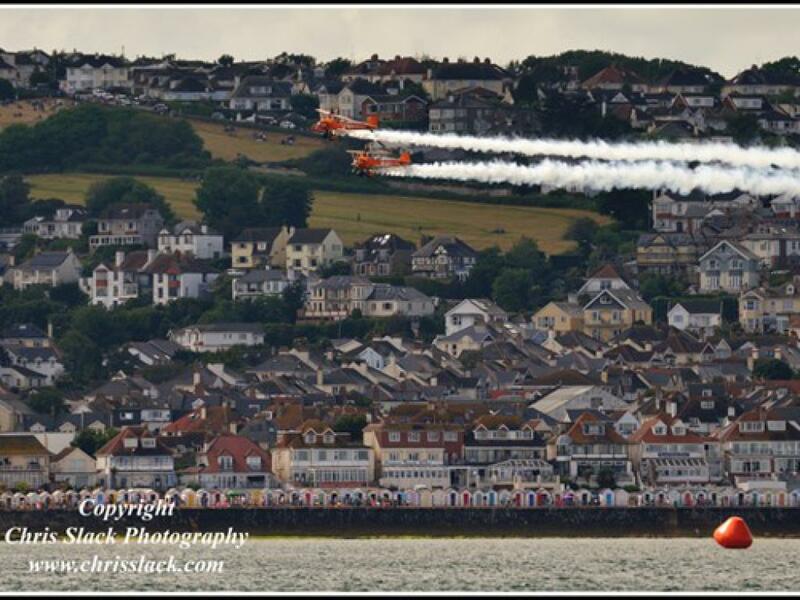 Open all year round we will do whatever we can to make your stay as comfortable as possible so will consider most requests. Why not give us a try? 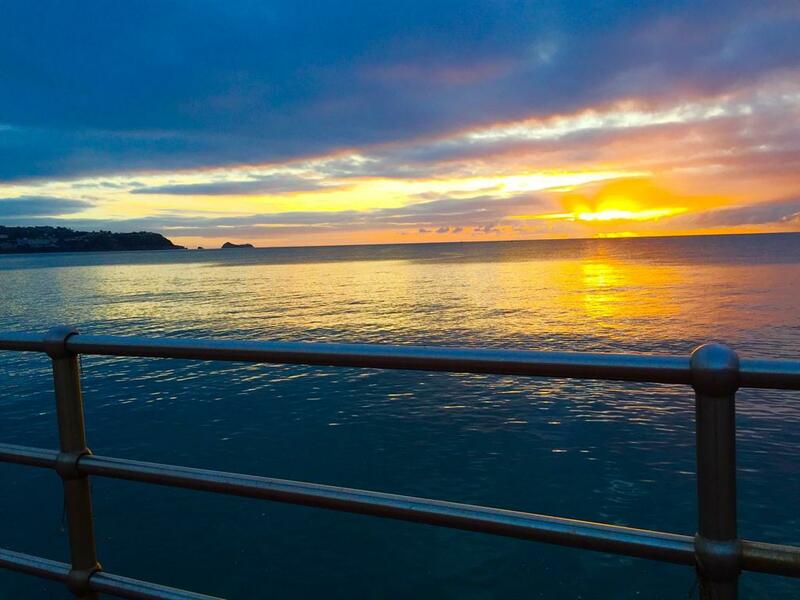 We're sure you'll be glad you did, many of our guests have been returning for over 20 years! 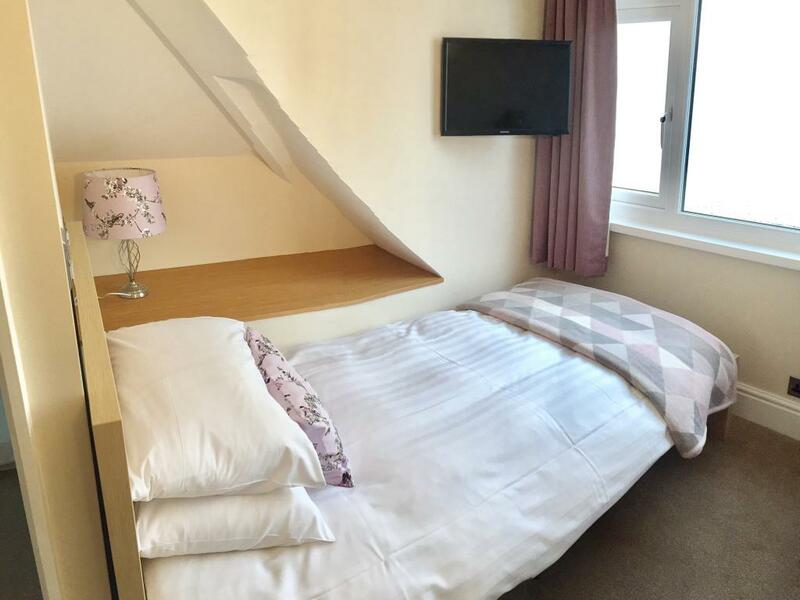 We can offer assistance to anyone with limited mobility to enter our building, however, none of our bedrooms are suitable for all disabilities. 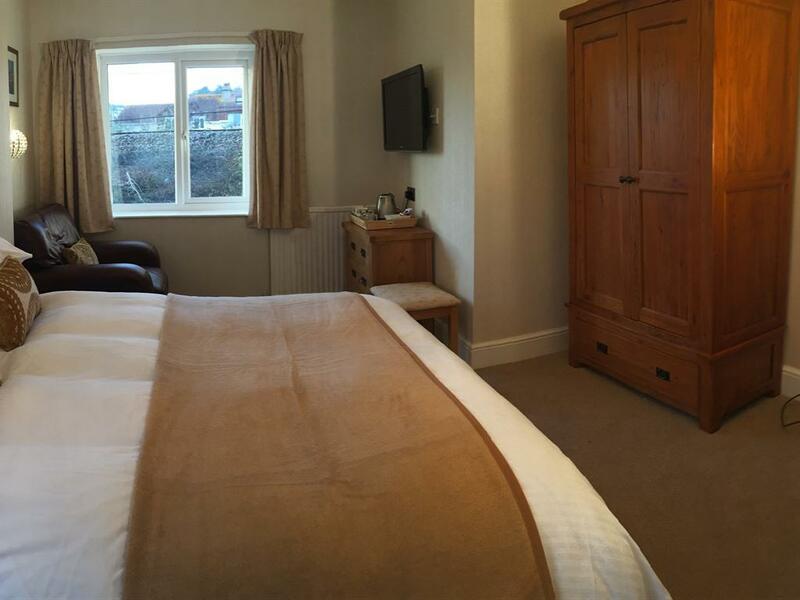 We have one ground floor room with a walk-in shower which may be suitable for some. There is a ramp with a handrail, and a couple of steps to enter the building.